Dry Needling is a treatment that involves inserting small, non-medicated needles into soft tissue and muscle in the body. The needles help the body to create and produce a healing response in the affected tissue, often improving rang of motion, decreasing pain, and improving overall function in the area. Dry Needling utilization has increased dramatically over the past 10 years in the United States due to its overall effectiveness. This is especially true in the field of sports medicine, where athletes are employing this treatment to improve performance, speed up recovery, and decrease pain. 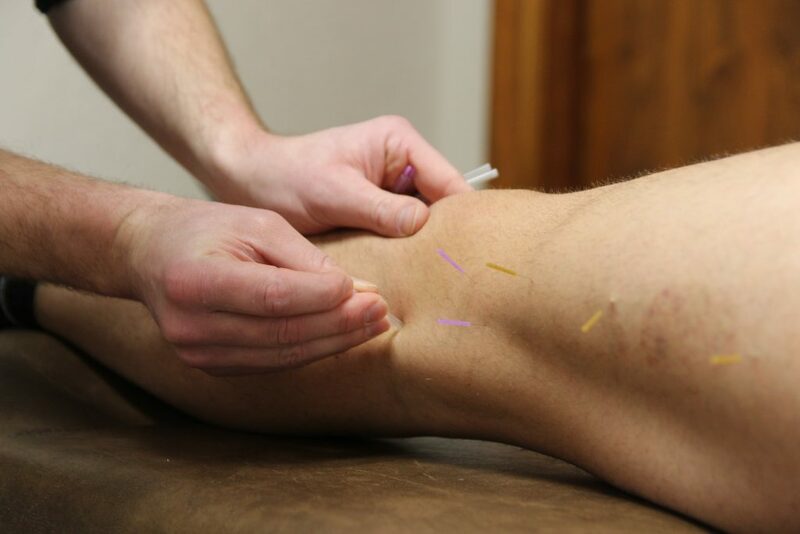 Although more widely used in athletics, Dry Needling serves as an effective and quick treatment option for a wide variety of health conditions. To find out if Dry Needling is the best treatment option for you, contact our office to set up a free consultation with Dr. Mitchell Keating.